Desi Smith Staff photo/Gloucester Daily Times. 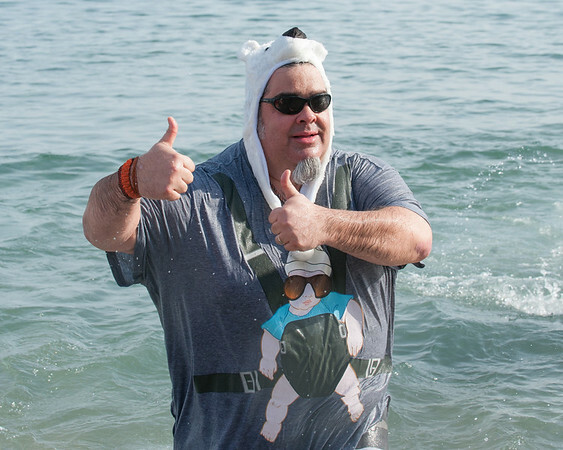 Rick Doucette gives to thumbs up as he heads out of the fridged water at Long Beach for "Freezin' For a Reason" polar plunge hosted by Gloucester Rotary as a benefit in fight against polio Saturday morning. February 1,2013.